Oceanfront! Pool! Gorgeous views! 2nd floor unit! Private Gated Community on the Atlantic Ocean and world famous 'Links' Golf Course - only 20 minutes from historic Charleston's many unique visitor attractions, such as our world-class Aquarium Wharf with the Fort Sumter Tour Terminal and beautiful old southern plantations. Fabulous shopping, restaurants and historic tours of our nation's most well-preserved 18th and 19th century architectural treasures. Learn about Charleston's historic struggles during the American Revolution. And don't forget, Charleston was forever to become known as the 'Cradle of Seccession' in the War Between the States. 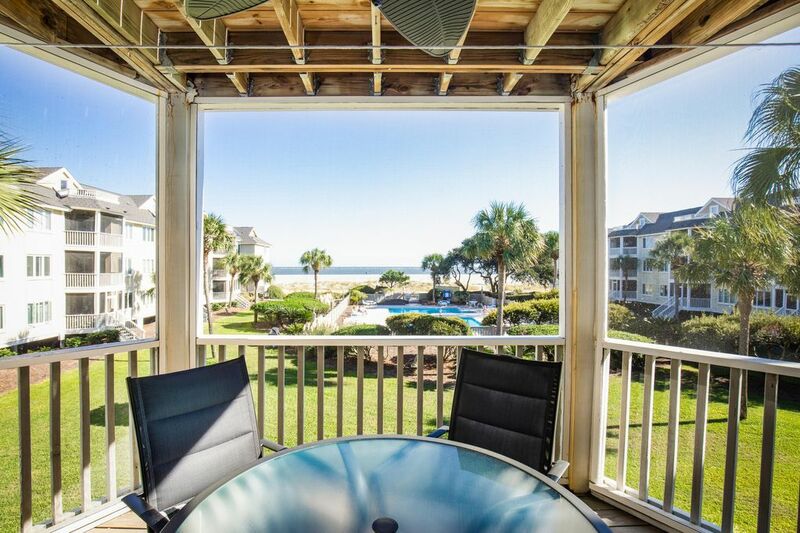 Fishing Pier, Marina, and five golf courses within minutes - a true ocean vacation like no other. A fantastic ocean view, only 100 yards away. This complex provides a beautiful swimming pool and easy beach access. Charleston Historic District, 'AA' Professional Baseball, Family Circle Cup Tennis, Historic Home Tours, world-class restaurants within minutes.